Outdoor brands wasted no time blasting President Donald Trump’s new executive order about America’s national monuments. Patagonia called the move hypocritical and challenged his authority regarding public lands. The Outdoor Industry Association says it is “deeply concerned” about the order, which could potentially lead to rescinding and resizing national monuments, as well as opening them up for mining and drilling. Earlier this year, OIA issued an open letter saying it strongly opposes such changes, signed by more than 100 outdoor companies -- including Columbia Sportswear, REI, New Balance, Woolrich and the North Face. Patagonia has been girding its loins for Trump for some time. Last fall, it spent a reported $1 million running full-page ads urging people to “Vote for the Planet.” Plus, it has been deeply involved in the controversy around the Bears Ears Monument in Utah -- 1.35 million acres designated by former President Obama late last year. When Utah passed a resolution asking Trump to remove that designation in February, Patagonia pulled out of Outdoor Retailer, the OIA’s major trade show, protesting Utah’s “hostile” approach to the environment. 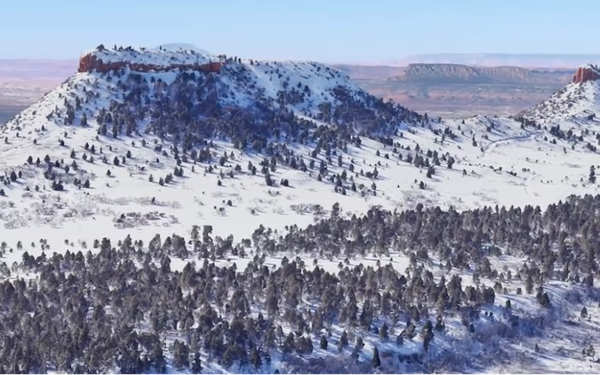 Last week, the company unveiled an ad about Bears Ears to run on PBS, as well as an extensive video and virtual reality film about the area, detailing its cultural significance, sport opportunities, with easy links to contact Ryan Zinke, U.S. Secretary of the Interior, to protest. While other brands might face some risk in such open opposition to Trump, “this is very consistent with Patagonia’s environmental leadership and the brand DNA,” says Eric Whan, director of the Toronto-based GlobeScan, a consultancy that specializes in sustainability. The order was signed shortly after the OIA presented its latest industry updates in Washington, D.C., outlining the $887 billion in consumer spending outdoor recreation economy generates and the industry’s support of 7.6 million American jobs. Other brands issued individual quick responses.